View More In Moisturizing Socks. 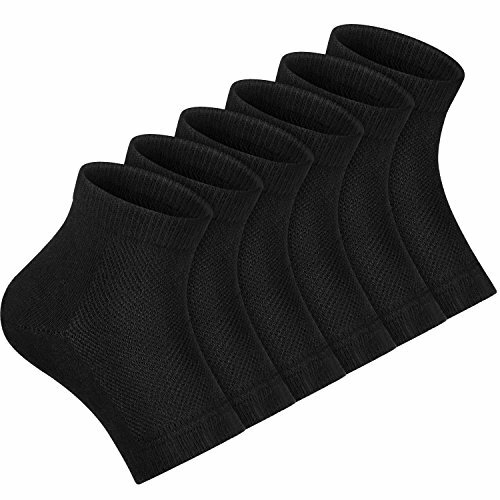 These socks can relieve skin discomfort, soften rough skin, enhance skin smoothness, exfoliating dead skin effectively. 1. Washing in water below 30 degree, hand washing only. 2. No bleach, no dry cleaning and do not iron. 3. Apply neutral detergent to clean. 4. Make it dry in the shade, avoid direct sun. 5. Lay it flat in storage. 1. The size of the socks may run smaller than normal socks, and a little tight when wear it for better moisturizing. 3. Please make sure that the time is in the range of 20 to 40 minutes every time when you wear. 4. Please do not wash the socks too hard and we recommend that you'd better not wash them too frequently to extend their lifespan.